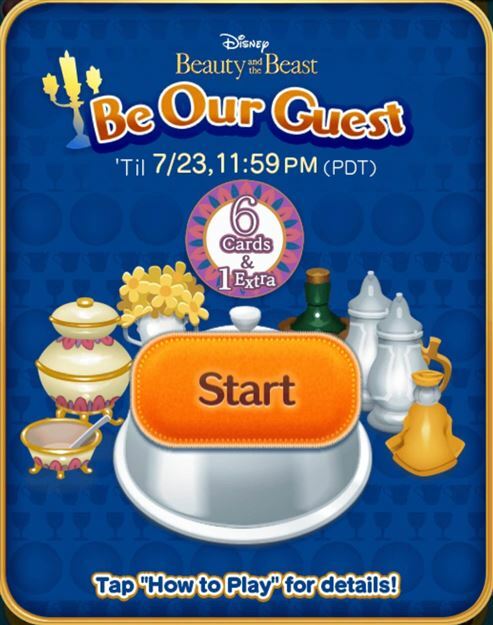 The Be Our Guest special event for the International version of the game is here! We have put together this page to help explain the event and give some helpful tips and tricks about how to win the event! On each card there will be a series of platters and for each platter there will be a mission you have to complete to open the platter and move onto the next platter. 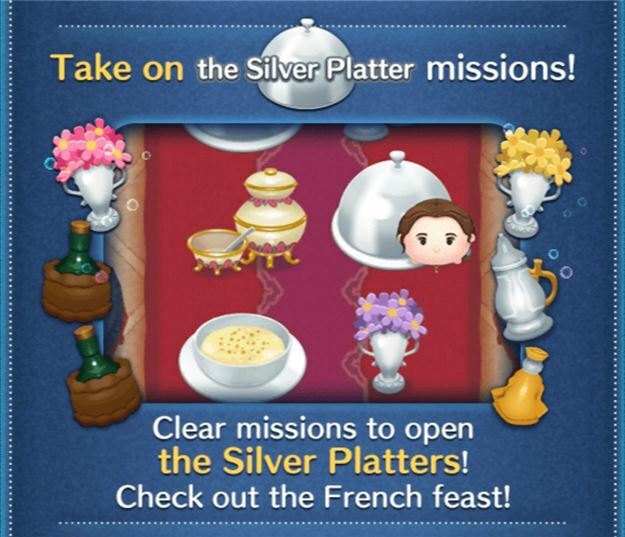 Most platters will be silver platters and they will have missions that are very similar to Bingo Card missions. Some platters will be bigger than others and when you complete their missions you will get a bonus prize. Some of the platters will be Golden Platters. These platters have a series of missions that you have to complete one after the other in the course of a single game. Luckily these missions are much easier; however, having to complete a bunch of them in a single game can be challenging! 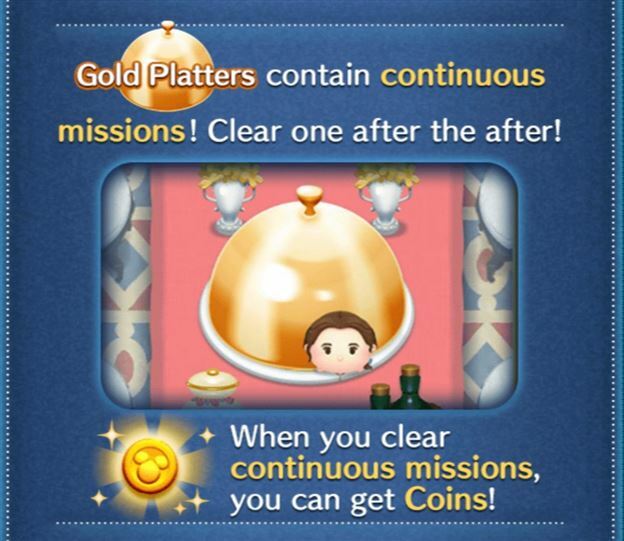 When you clear these missions you will get bonus coins. 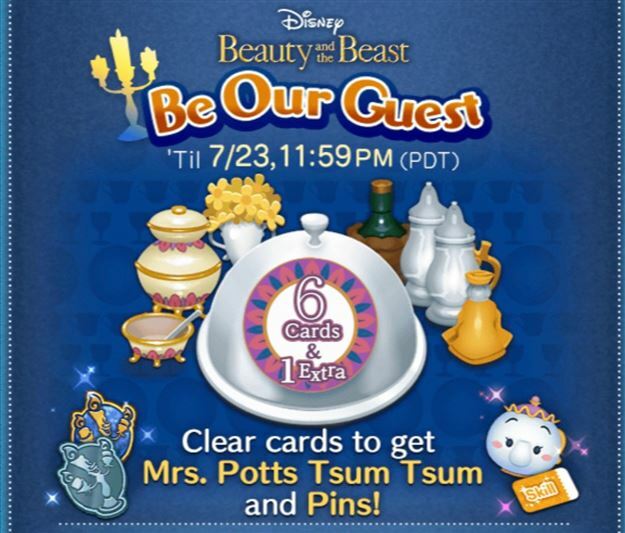 The new Premium Box Beauty and the Beast Tsum Tsums (Romance Belle and Romance Beast) get a bonus towards the mission. 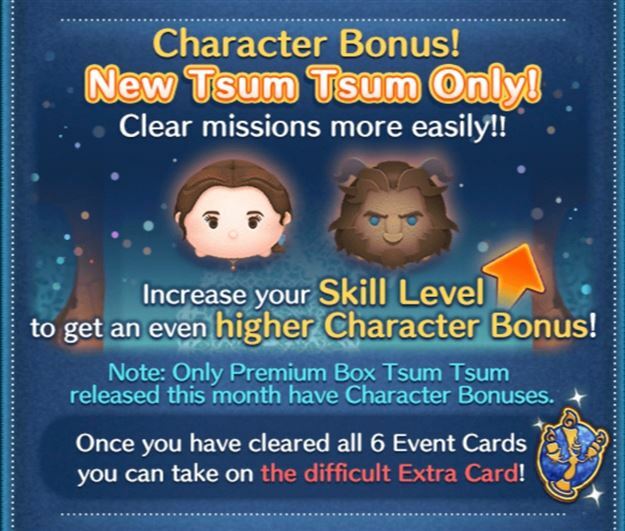 The higher the skill level of your Tsum Tsum the higher the bonus you will get. 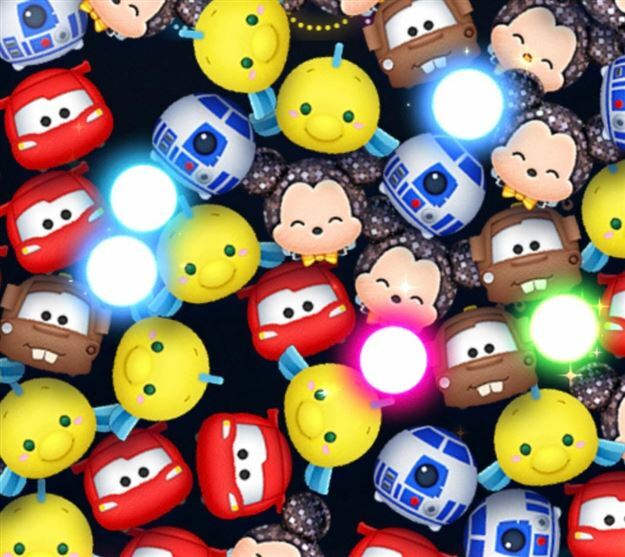 Their bonus can make mission a lot easier so it definitely helps to have these Tsums if you are able to get them! When you play a game the mission will be displayed at the top of the screen along with your progress. 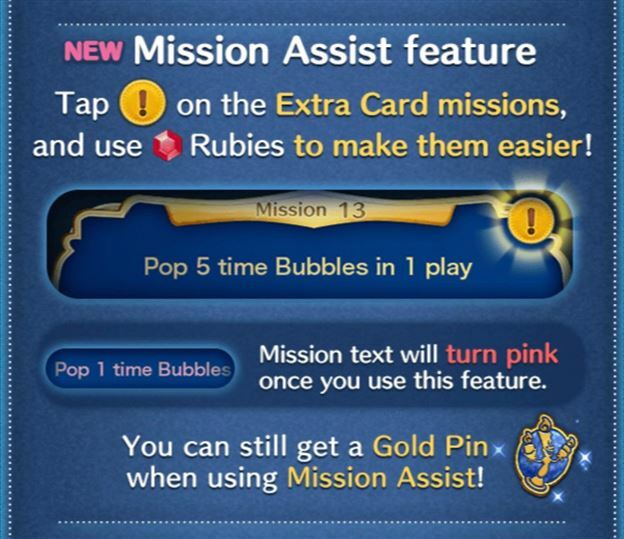 This is also helpful as it will tell you if you are using a valid Tsum Tsum for that mission... if it doesn't appear then that means you have to use a different Tsum Tsum. For example if you have a mission that requires a male Tsum Tsum and currently have a female as My Tsum Tsum then the mission progress won't display at the top of the screen during the game. 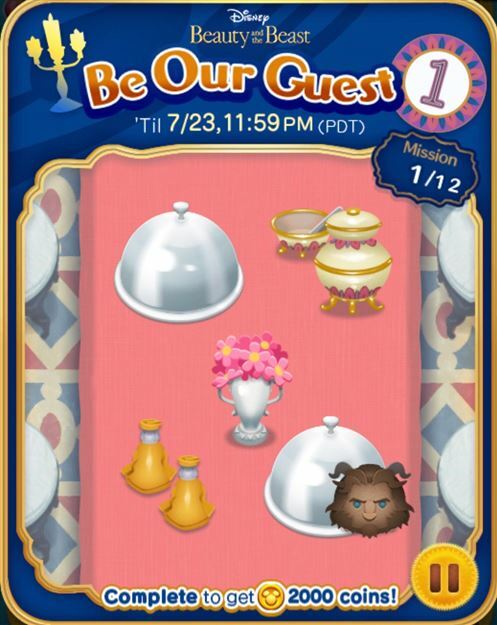 Discuss the Tsum Tsum Mobile Game Be Our Guest Event!